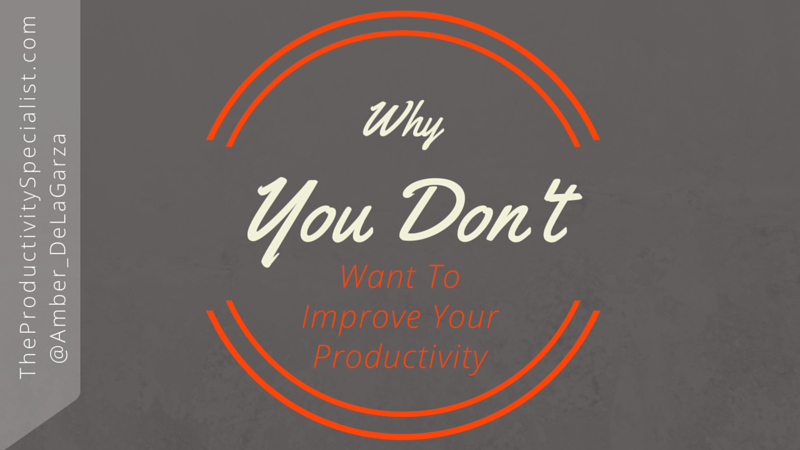 Do You Even Want to Improve Your Productivity? How about get more done? More done seems like an overwhelming concept and honestly, why would I want to get more done? I don’t want to get more done; I want to accomplish more. How about you? Do you naturally associate more work with accomplishing more? Many of us do and that is why we don’t wake up excited about improving our productivity. Productivity does not have to mean more work, just more focused work. Being more productive is how we can effectively and efficiently accomplish our goals and vision of success. 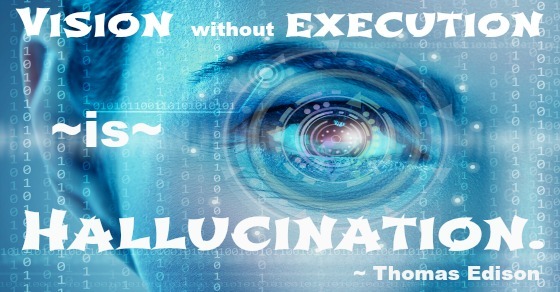 Are your activities aligned with your goals and vision of success? Do your daily, weekly, and monthly activities drive you closer to achieving what you want most out of life? For many people, the answers are both a resounding NO. I’ve heard a plethora of reasons backing up that answer from many different people chasing many different levels of success. Their reasons include don’t have enough time, don’t have enough staff, too much to do, too many meetings, everyone needs something from me, the emails won’t stop, and the list goes on and on. These are all just excuses! The real reason you let your days, weeks, and months waste by without gaining any traction on achieving your goals is you have not clarified your definition of success, so it seems incredibly intangible and far from your grasp. Success often seems like a vague, distant dream, doesn’t it? Most people don’t have a solid understanding of what success for them really means, but a well-honed vision of success is necessary to galvanize you into taking action and help you stay on course. To figure out what success for you actually looks like, define success on your terms and make it your vision! To elucidate your definition of success, be specific. Being less flexible when it comes to goal setting will be more effective in its achievement. Instead of your vision of success being so you can retire early then, for example, it should be so you can retire at age 55 with your house paid off, your kids’ college tuitions paid for, $500,000 in your savings, another $500,000 in your retirement accounts, etc. By being so explicit about your goals, you are establishing your why, which IS your vision of success. By figuring out your why, you are simply identifying what it is that you aim to accomplish by improving your productivity. Each of our whys should be unique because each and every one of us is unique! Once you have defined your meaning of success, construct specific, short-term goals and action steps. Then, let that vision galvanize you to follow through with them. Those action steps should be your best activities. So, by investing your best time (blocks of focused, energized, distraction-free time) into your best activities, you will improve your productivity and enable yourself to accomplish what matters most to you. Use that excitement and intensity to keep you on your journey toward ultimately accomplishing your vision of success! Execute your vision of success by investing your best time into your best activities! Whether your why is a more detailed version of retiring early, a beach house, more clients, more time with family, or simply more money, never lose sight of it! Here’s a strategy that helps my clients remember why they’re seeking to improve their productivity and it may help you improve your productivity as well: Write down your why and post it where you will see it every day as a reminder to invest your best time into your best activities. Commit to posting your why where you’ll see it every day as a reminder to invest your best time into your best activities.